Processed meat is popular across the world and its consumption varies from region to region. New flavors and convenient products are boosting the processed meat market globally. The GCC processed meat market has been segmented by meat type, product type, package type, and region. In terms of meat type, the market has been segmented into lamb, beef, and poultry. In terms of product type, the processed meat market has been segmented into: chilled processed meat, frozen processed meat and others. Under the chilled processed meat segment, the market is further categorized into burgers, nuggets, and others. Others segment includes kebab, and meat balls among others. Frozen processed meat is further segregated into hot dogs, mortadella, salami and others. The others processed meat segment includes shelf stable meat products. In terms of packaging type, the processed meat market has been segmented into: retail package and bulk package. The research report on the GCC processed meat market offers detailed analysis of the processed meat products market in Qatar and rest of GCC and helps to understand the driving forces behind the popularity of this market. Under the scope of the report, detailed analysis of major segments and sub-segments of processed meat market for the Qatar and rest of GCC are provided for the historical years (2010-2014) and the next eight years (2016-2024). Moreover, the report includes in-depth analysis of the drivers, restraints, market trends, and future outlook of the industry. The strategies for stakeholders to succeed in the business have been comprehensively assessed in the report. It also provides an understanding of volume (million kg) and value (USD million) of processed meat consumption across GCC. The study highlights the current and future market trends, historical market (2010 to 2015), and provides forecast from 2016 to 2024. In terms of meat type, poultry accounts for the largest market share across GCC. Frozen processed meat, especially poultry led in terms of growth in 2015 and is expected to maintain its leading position over the forecast period. In general, poultry consumption in Saudi Arabia is on the rise. Burgers, franks, nuggets, salami, and hot dogs are favorite lunch items amongst the growing young population. They are conveniently stored and easily prepared when needed. Thus, the market of processed meat is expected to grow over the forecast period. In terms of product type, frozen processed meat type occupied the largest market share in the overall GCC processed meat market both in terms of revenue and volume in 2015. Processed meat sales are expected to be driven by frozen variants across all the countries in GCC. Chilled processed meat, on the other hand, does not enjoy the same variety, and these products also have a shorter life. For the processed meat market, the target segment is mainly foreign workers, who want to add some protein to their meals without spending too much money and time. Frozen processed meat product such as hot dogs, salami based packaged food products are very much popular among the younger generation across GCC. Another factor which is helping the processed meat market to grow in GCC countries mainly in Saudi Arabia, Qatar and UAE is the busy life style of people over the years. By country, the market has been segmented into Qatar and rest of GCC. 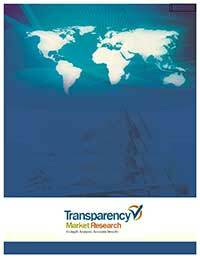 This report helps distributors, suppliers and manufacturers to formulate strategies based on understanding of the trends in this market. Among the overall meat type segment, poultry is analyzed to be the most attractive segment for the processed meat market due to increasing health awareness among consumers in Qatar. Across the GCC, consumers are shifting from the consumption of red meat to poultry, as cholesterol content of red meat is high as compared to poultry. Growing popularity of processed meat based food products among the younger generation, and rising demand for organic food products, among others, are the major factors driving the processed meat market across GCC. The leading brands which have the maximum market share in processed meat market across GCC include National Food Co. (Americana Meat), Al Islami Foods, Sunbulah Group, BRF S.A., Tyson Foods, Cargill Inc., Gulf Food Industries and Almunajem among others.